In summer 2019, choose from two intensive programmes at LFS. Be one of 24 filmmakers from across the globe to be selected for one of our intensive Summer Schools. Both courses offer each participant the opportunity to write, direct and edit their own short film with a professional cast and crew. 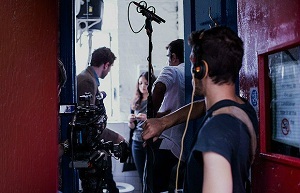 In addition participants will gain vital experience with a number of on-set roles. Explore each programme in-depth below! 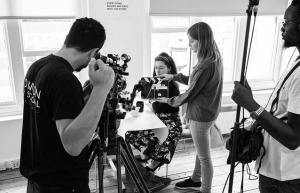 Each of our summer programmes is an immersive, professionalising experience led by enormously creative filmmakers, with highly experienced and talented craft tutors. Now entering its eighth year, Udayan Prasad’s Directing Summer School is already world-famous. Since the first edition in 2012 new shooting exercises have been added and our list of central London locations has grown. We have also expanded our team of professional editors, doubling each filmmaker’s access to the edit of their final film. In 2015 we introduced the First Film Summer School with Jonas Grimås. Aimed at applicants aged 18-22 years, this course is for those who truly are on the starting blocks, perhaps having never been given the opportunity to make a film before.